Townhouse Koyambedu packs a surprise fun element into the relaxing experience it offers guests. Throughout the minimalistic-styled building, quirky caricatures can be spotted, brightening the atmosphere. 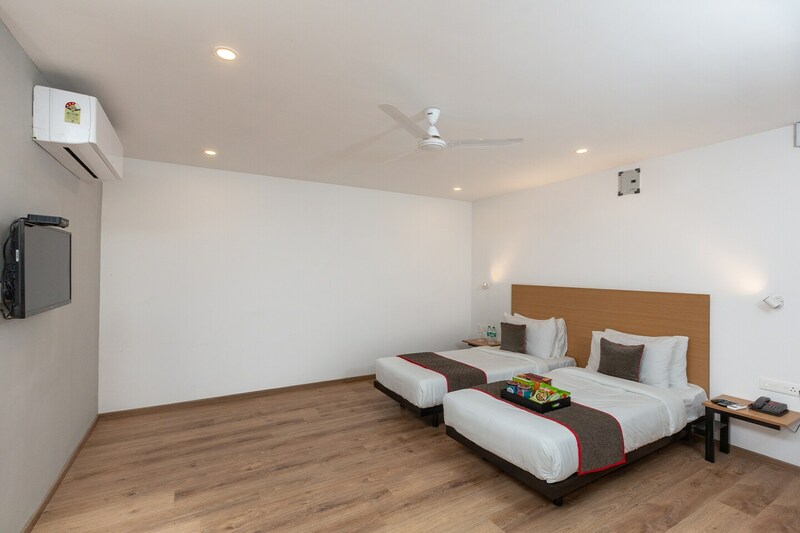 The rooms are spacious and airy, with false ceilings and plenty of lights. For entertainment purposes, Netflix and Kindle facilities are provided with the rooms. The property offers free WiFi connectivity, a common dining area, parking facility, elevators, power backup and laundry service. Townhouse Koyambedu has an in-house restaurant where guests can enjoy fresh meals without having to travel far. Card payment is accepted by the property, and a CCTV camera setup is in place for added security.